The information databases already declared to users that feather, prime and block was not included in the labor rates and times provided to repairers and insurers, but no actual feature for the procedures had existed in the estimating programs. Collision repairers had experienced difficulty getting insurers to acknowledge the distinction, according to litigation filed against insurance companies by the auto body industr. AudaExplore’s move, which it says is a first for the three estimate databases, could shake loose this sticking point by giving shops a concrete figure upon which to base estimates — particularly if CCC and Mitchell follow AudaExplore’s example. “AudaExplore is pleased to be the first provider to announce this new feature,” AudaExplore industry relations Vice President Rick Tuuri wrote in a letter to Society of Collision Repairer Specialists Executive Director Aaron Schulenburg. “Many of you know that Feather, Prime and Block was recognized by the industry as a refinish operation necessary to perform quality repairs through the Collision Industry Conference. I’m very pleased that AudaExplore is the first provider to address this important industry issue. Audatex Executive Director Dave Anderson told the meeting the sales staff is being trained now, so the feature should roll out very soon — probably in the next few weeks, he said afterward. “It’s time,” he said during the meeting. The estimating service, a division of Solera, will now allow a user to allocate some of the panel repair time estimated by the shop to a feather, prime and block labor operation. It will be classified as refinish labor with a rate code of 4. All of the outputs produced by these feather, prime and block entries will appear as line items. It’s up to the estimator as to whether they want to use it — which could create problems if insurers simply manipulate the data to exclude it, as shops have alleged in litigation. Schulenburg during the meeting also updated the industry on what SCRS had been doing following complaints by members about estimating database auto-renew systems which give little notice. He said SCRS supported the idea of auto-renew, but notification would be nice before shops are locked into a lengthy new contract. 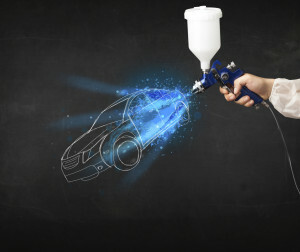 Contacted by SCRS, the three estimating companies said that auto-renew prevented disruption in service that would stall the collision repair process. AudaExplore did cut the length of time contracts are auto-renewed to a year; the other two made no change. Schulenburg said installing the notification would have been ideal, but at least the Big 3 databases took the association’s concern seriously.